My decision to become an official DS-Ambassador for the National Down Syndrome Society was an easy one to make. I wanted to support an organization that I strongly believe in and whose work I respect, appreciate and *NEED* more than I can accurately convey. 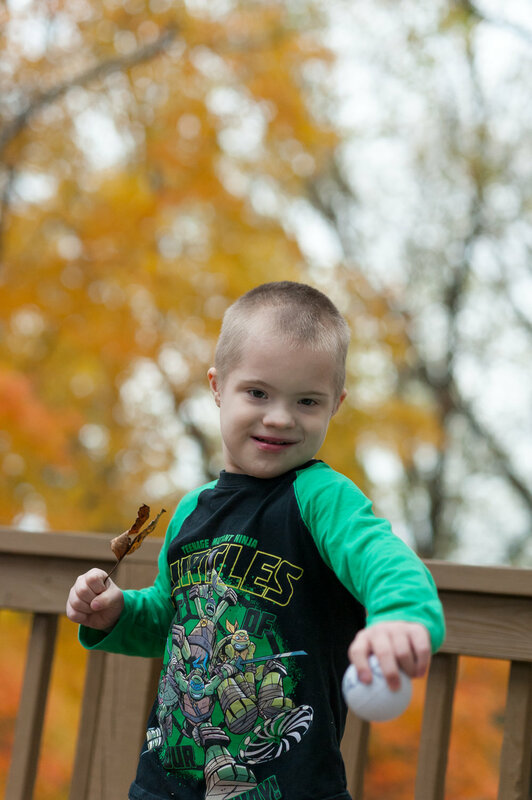 I've shared multiple times in the past how, when we looked at our newborn son and heard the words "Down syndrome" uttered from uncomfortable doctors and pitying nurses, NDSS came through for us. Questions were answered, resources were provided and we quickly turned our view on Zack and his future from one of fear to one of hope. From NDSS, we've received much more than a few easy website links. We've gotten to know DOZENS of incredible families who are tirelessly advocating for their loved ones and spreading more messages of potential and possibility across the world. There is nothing quite as powerful as being surrounded by people who "get it" and who push us harder. I've gotten to know some of the staff of NDSS, too, and I don't believe I've ever met a group of people who work harder and literally change laws and perceptions constantly. They take what they do so seriously and work so hard to provide families with all that they need, no matter the request or concern. In early 2016, we were being met with incredible resistance from Zack's new school district. I needed help and I needed to make sure all of my i's were dotted and my t's were crossed. I went out on a limb and sent a message to Sara, the president of NDSS. And within one week, she spent nearly an hour on the phone listening to our situation and asking important questions AND she helped me draft a letter to the school district personnel to get things moving. Within seven days, Sara had helped me accomplish more with the district than I had in four months. She checked in several times after that, too -- she didn't just stop and run away. That personal attention meant everything to our family. I've had the incredible honor of photographing events for NDSS, too -- including a rock-and-roll-themed photo shoot in New York City for images used at the organization's annual fundraising gala. I also took part in the Leadership Summit and Capitol Hill meetings with legislators in October. It was during that event that I learned more about the Ambassador program, met some of the biggest advocates for NDSS and became more inspired than I have ever been before. Participants in the NDSS DS-AMBASSADOR® Program are volunteer advocates of all abilities committed to taking part in the democratic process and serving as liaisons between NDSS and their congressional delegations. The overarching goal of the NDSS DS-AMBASSADOR® Program is to build long-lasting relationships with US Senators and US Representatives to continually raise awareness, educate and advocate for public policy solutions that benefit the Down syndrome community at the federal level. I can't believe how easy NDSS makes it for their advocates. At the events in Washington, DC, last fall, each family was provided with an entire folder that included not just highlights and info on the representative they were meeting with, but a script to follow for talking points, a map and directions to all of the Senate and House buildings and suggestions for follow-up and thank-yous. Just last week, a bill came across that would provide better programs to prevent wandering of individuals with special needs (much like what is currently available to the elderly and patients with Alzheimer's) and also develop better tracking programs for individuals who wander. This is a huge concern of ours for Zack, who has essentially little sense of danger or security and elopes from us quite frequently in public places. NDSS provided me a direct link to send a pre-drafter email to my local representative. I didn't have to enter anything other than my address to get everything squared away with just one click. I was able to personalize the email and, while I'll never know if it was read or what impact I had on this piece of legislature, the ease NDSS provided me with this process allowed me to do more than I would otherwise have done. I'm so excited for all of my upcoming events with NDSS, including their next Gala in March in New York City, the National Buddy Walk and the first-ever Adult Summit in April. And I'm so hopeful that my work with NDSS truly will offer a better future for Zack.